What is new is not always relevant. What is relevant is not always new. 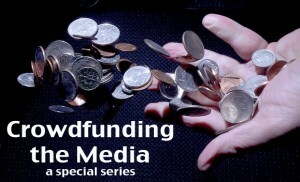 PBS has been blogging about crowdfunding – the practice of funding a project or venture by raising many small amounts of money from a large number of people, typically via the Internet – and their latest post engages nonprofits in thinking about the significant opportunity for financial success in crowdfunding. While I appreciate what these types of articles do for innovative thinking, when they are sent out into the npo-sphere such as this, with no context to the implementation or integration of such a strategy into a broad range of tactics, it sends most charities desperate for money on a wild – and often disappointing- goose chase for their tens of thousands of dollars from ‘the web’. At best this is a distraction and a waste of resources which could go toward raising real money. At worst, it could be the straw that crumbles an already ailing organization. In reality, what is new is not always relevant. What is relevant is not always new. Basing revenue development on scholarly data and best practices is essential to helping our nonprofits prosper.